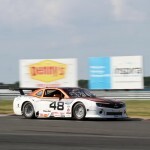 Round 5 of the SCCA Trans-Am series travelled to New Jersey for the Weekend of Thunder. 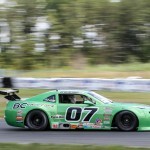 BCR had two entries in the TA2 class, Mike McGahern in the #48 Camaro and newcomer Jordan Bernloehr in the house #07 green machine. Neither BCR or our drivers have ever raced at this track, so Thursday’s testing was crucial to make the required adjustments and allow our drivers to learn. Many set-up changes and gear changes later, we felt we had a pretty good package. Plus, Jordan has never driven a full size race car and had to contend with learning to shift and brake in these relatively heavy machines. In extremely hot and humid conditions, both drivers did well, Jordan to qualify 10th and Mike 14th in this 22 car ultra competitive field. Third to tenth was separated by less than 0.9 seconds! The race was shaping up nicely, our strategy was to be there at the end, as we expected tire wear to be an issue. Unfortunately, Mike retired with a mechanical failure on lap 5. Jordan was keeping with the lead pack, picking off cars one at a time, running quickly and consistently. 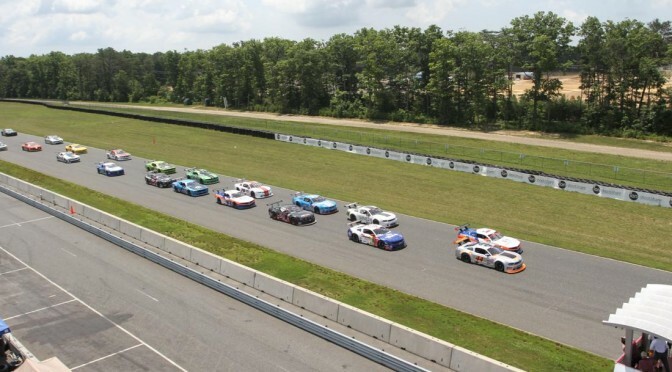 Unfortunately, a passing attempt resulted in an off at turn 1, which filled the radiator opening with grass and the engine started to run hotter and hotter. We had a super difficult decision to make, leave him out there and risk blowing the engine or bring him in to clean the grille but loose a lap in doing so? We opted for the latter, and as expected, we went a lap down. Jordan never gave up though, fought his way back and finished 12th, the top car a lap down. A very good showing from a very talented young man!